Not sure what to do for Valentine’s this year? We suggest a lovely snog — literally! 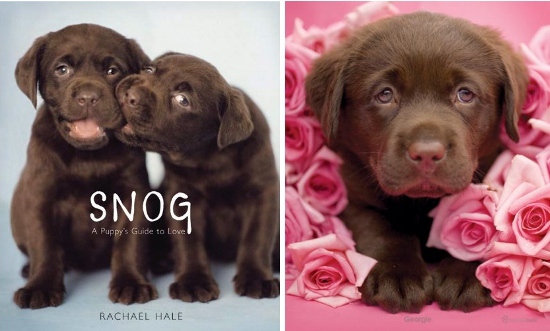 This beautiful hardcover book entitled, SNOG: A Puppy’s Guide to Love is such a beautiful compilation of Rachel Hale’s stunning photos that you really do want to cry while flipping through the pages. 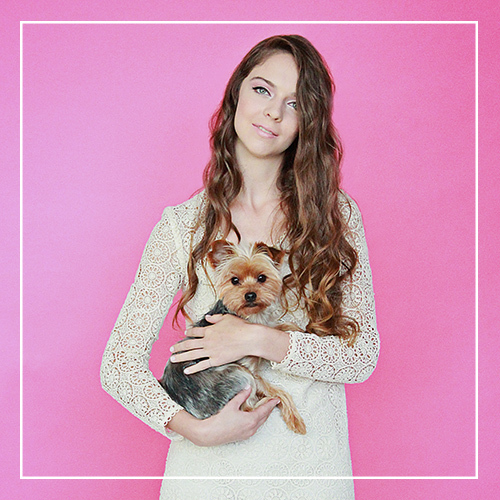 Rachel Hale, in case you didn’t know, is an absolute goddess when it comes to stylish pet photography. 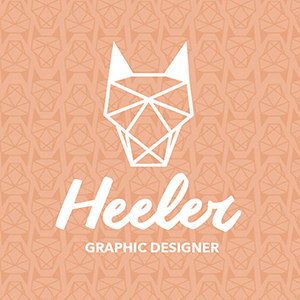 Her environmental style captures a simplistic sort of charm and grace that is almost impossible to describe. 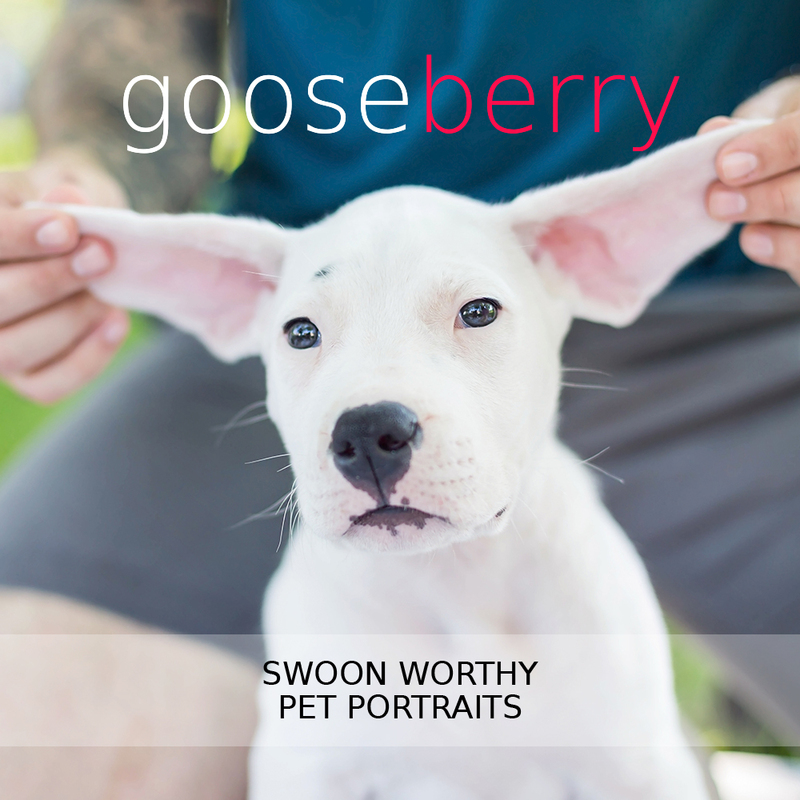 Stamped with the PAWSH seal of approval, you cannot go wrong giving this adorable title to your loved one this year. We promise! Allison Vorstenbosch comes from cat people and shares her life with three furry bundles of feline joy: Thor, Link and Buttercup. Here’s a sneak-peak at what she’s buying them for Valentine’s this year, but don’t let the cat out of the bag! The cats have no idea what to expect! Since even cats deserve a little love on Valentine’s day, mine get a good dose of catnip. Usually they’ll even get treated to a new toy like these special mice from Cattitude Creations. 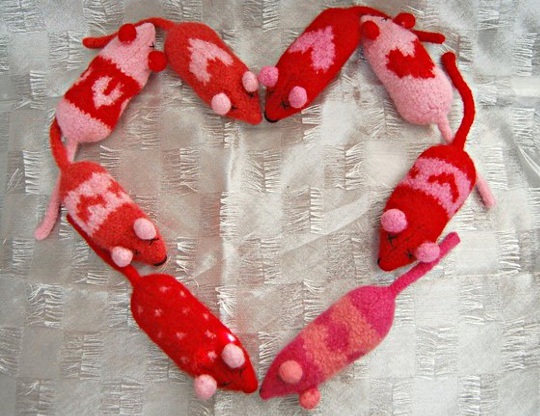 Wooly Mice are completely hand-knit and felted from 100% wool. Each mouse contains a generous amount of organic catnip to perk up any kitty that comes near. They measure about 5″ in length and are very durable. These make a unique one of a kind gift for anyone you know who has a krazy kitty! But don’t forget! All cats relish a thorough belly rub and scratch behind the ears to know that they’re loved too! If you are planning to settle down this Sunday to take in the much anticipated Steelers vs. Packers Superbowl, it might be a good idea to plan ahead for your dog too so that you are both entertained. But why get your faithful friend just any old toy, when you can pick them up a suitably themed amusement instead! 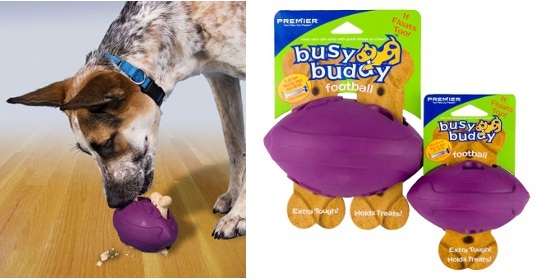 The Busy Buddy Football, for instance, is an excellent choice. Not only does it feature the oh-so clever ‘treat trapper’ (an ingenious design that grips all sorts of treats with a vengeance, making your pooch work like a football superstar for their reward), but it also bounces unpredictably when thrown and floats! In short, this is a great way to keep your furry ‘busy buddy’s’ nose out of your popcorn bowl and thoroughly occupied while you cheer for your team! 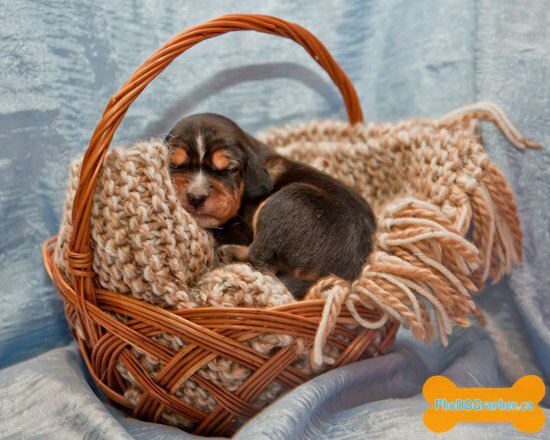 Of course, there’s no reason why your dog can’t join the pack of loyal fans! 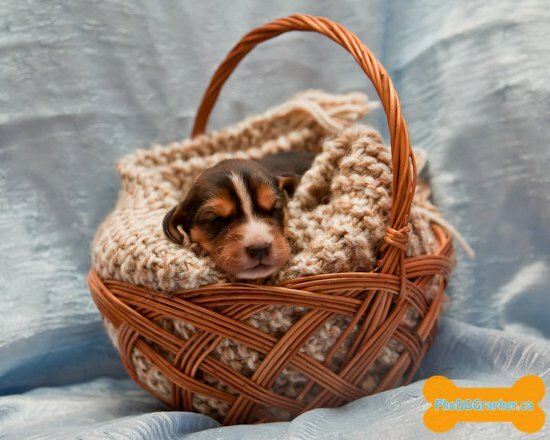 Doggie Nation has all sorts of cool team-specific pet items to make this Superbowl Sunday especially memorable. 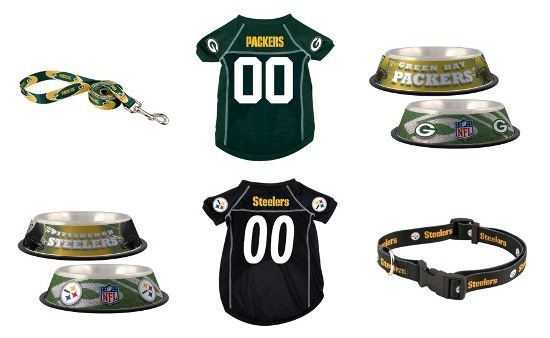 Check out these sporty dinner dishes, jerseys and leashes! And what would any football event be without tail-gating (no pun intended) supplies? 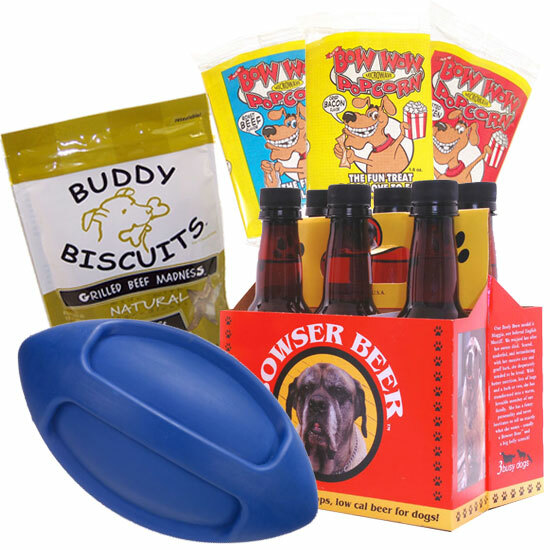 The Superbowl Sunday Dog Party Kit is terrific for Fido and all of his friends! What’s included? A large pet football, Bow-Wow Popcorn and delicious Buddy Biscuits! Oh, and a six-pack of Bowser Beer too! That’s right, beer for dogs! (Please note, Bowser Beer is made of beef/chicken, malt barley and glucosamine. It contains absolutely NO alcohol, hops or commerical broth.) This unique brew is best enjoyed straight from the bottle of poured over a nice bowl of kibble during half-time. 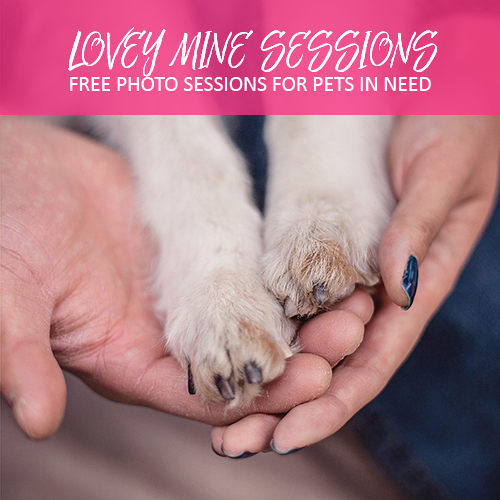 So call up your friends, human and canine alike, and enjoy an amazing football experience together! Have a great time everyone! Here’s hoping it’s a good game with lots of bark about on Monday! Big news from Hopeful Hearts Rescue! 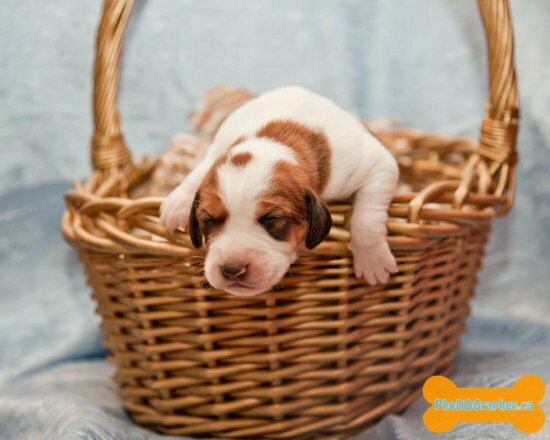 A few weeks ago a beautiful (and very pregnant) hound-mix by the name of Daisy-Mae was found abandoned. 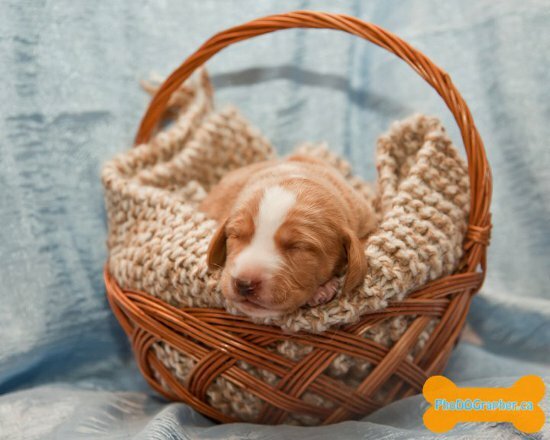 Well, we are pleased to announce that she safely delivered nine gorgeous, healthy little puppies! 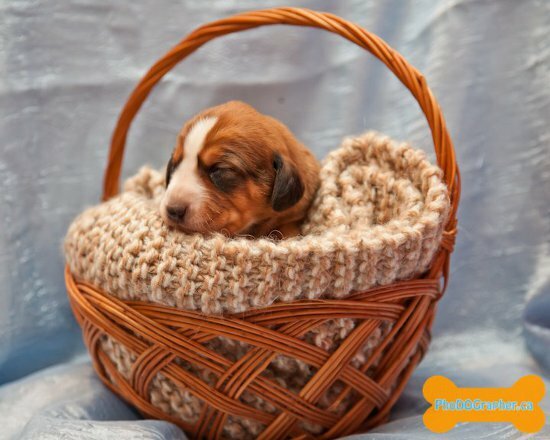 Each of the young whipper-snappers has been named in memory of a Hopeful Hearts dog that passed away in 2010. 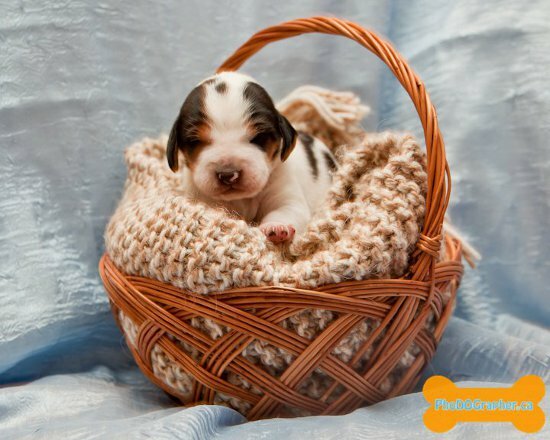 The puppy above was named after Phantom, who you may remember passed away suddenly after suffering an accidental fall. 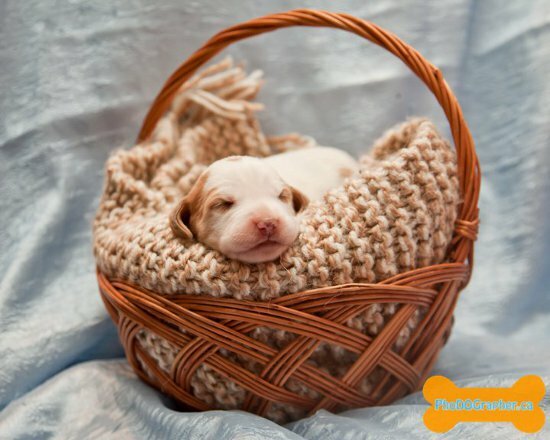 Please take a moment to visit the rest of this post and meet all the pups, keeping in mind that each of these babes will need a loving forever home very shortly. 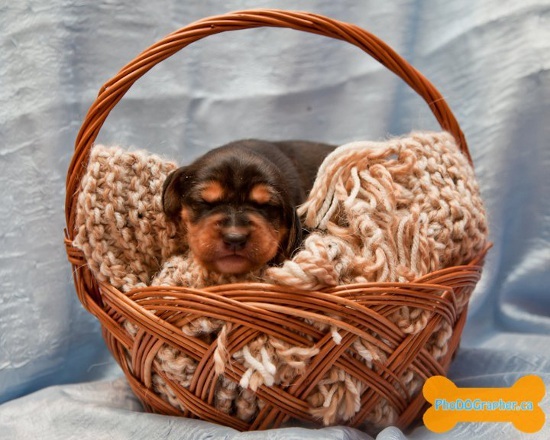 We invite you to please leave your comments and congratulations to Hopeful Hearts and Miss Daisy-Mae below. 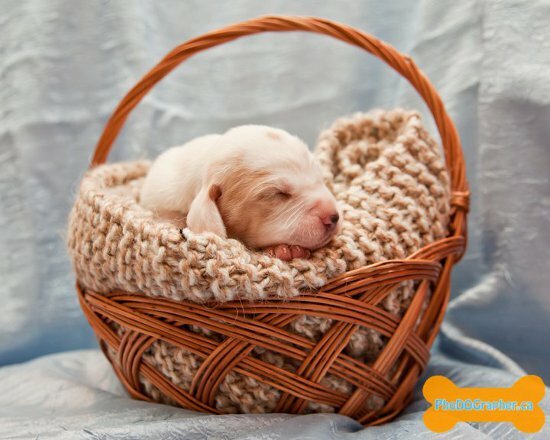 After all, the arrival of puppies is a joyous event that should be celebrated! 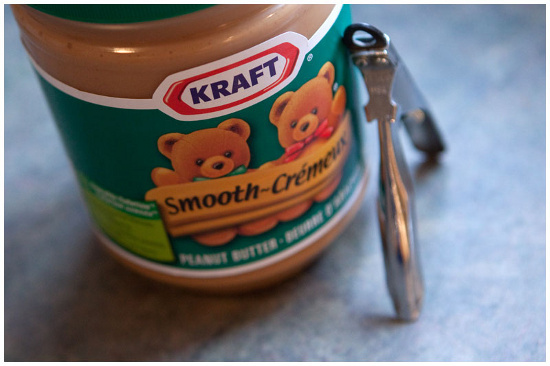 We all know that peanut butter and jam are meant to be together, but who knew this common household spread worked wonders with a pair of nail clippers too? This has got to be one of the most innovative tricks for trimming a dog’s nails we’ve ever seen! The trick? 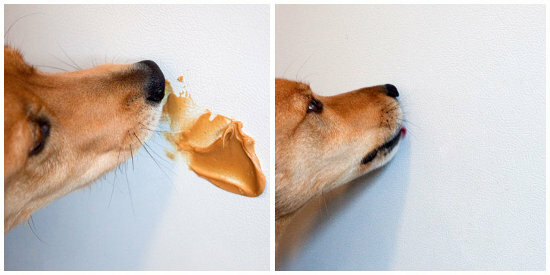 When Fido needs his next manicure, grab your trusty jar of peanut butter and smear some on your refrigerator door. Your pup will instantly be attracted to the sight of delicious nutty flavour readily available at his level, and while he’s busy licking it up you are free to zip around and trim his nails! Brilliant! It is important that a dog remains calm when having his nails tended to, as one small slip can result in a painful experience. So a nutty distraction is a great way to direct his attention away from his paws and create positive association with the whole process. Plus, your fridge will be nice and clean too!